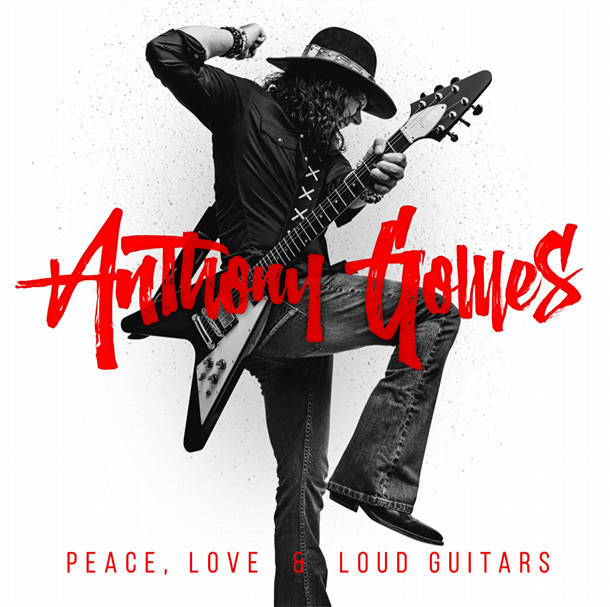 ST. LOUIS, MO – Anthony Gomes, 2017 European Blues Award Winner, is thrilled to announce the release of the first single, “Come Down,” from his forthcoming album Peace, Love & Loud Guitars. Gomes bares heart and soul on “Come Down,” a modern work song with the startling plea “Come down from heaven B.B. King, ’cause this kingdom has no king.” The single, inspired by Gomes’ admiration for B.B. King, will be released on September 16th in honor of B.B.’s birthday and promoted with a video. The full length album will be released internationally on October 19, 2018. Anthony Gomes has been creating virtuosic, burning blues since his recorded debut in 1998. 13 releases and numerous awards and ecstatic accolades later, the aptly named, Peace, Love & Loud Guitars, crackles with bare wires passion.